Home / Automotive / Cars / Tesla Model 3 Technology Confuses Cop! Cop gets confused by Tesla Model 3 technology. It goes without saying that, when it comes to the cutting edge of technology, you can expect a brand like Tesla to really bring it in a big way. This delivery of this cutting-edge technology comes not only with the way that the systems power the car, but also the technology that’s on board in relation to the interface that the people inside experience, including the massive head unit that allows you to control all sorts of functions through a touchscreen in the centre console. The focal point in the interior of these cars almost looks like something straight out of a spaceship. Fair enough, because Tesla’s founder, Elon Musk, has been known to dabble in those, too. This time, a police officer shows us that he is definitely among those who have not been keeping up with the latest automotive technology in question. 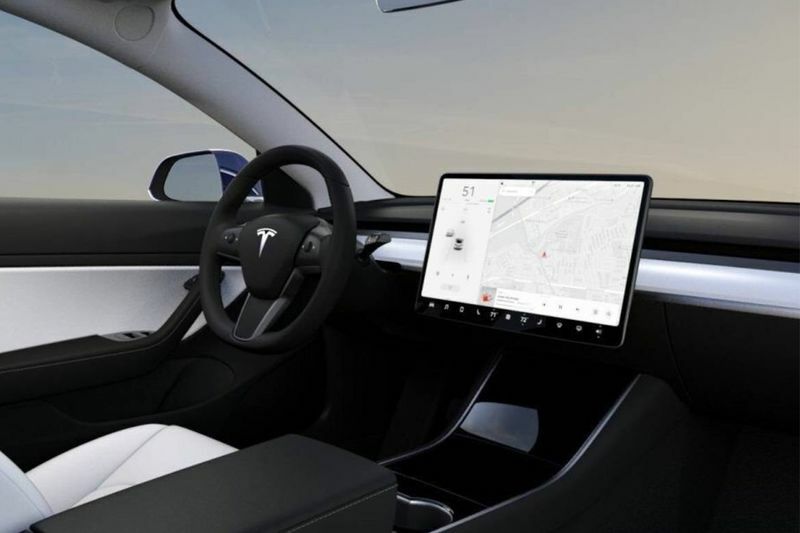 In fact, when he saw a driver behind the wheel of such a Tesla making his way down the road with this technology on board, he pulled the fully electric car over because he thought that the head unit was an open computer being operated by the person controlling the car. The interaction that comes about is actually a little bit awkward but we think that you will get a pretty big kick out of it all.